The problem with wind turbines is that they produce electricity "as the wind blows." When there are high winds, production increases and the price of electricity falls; when the wind tapers off, production decreases and the price of electricity rises. This is problematic for the power grid and a bad deal for wind turbine owners. So researchers at Aalborg University (AAU) in Denmark are developing a power converter for wind turbines with a built-in battery system that can absorb and emit energy as needed, and thus even out production. The project is a partnership between AAU, Ørsted and ABB's Corporate Research Center in Sweden, funded with DKK 6 million from Innovation Fund Denmark. "Currently, equipment is required from multiple suppliers in order to achieve the same effect. This means challenges in coordinating and optimising the system. The solution we are proposing has significant potential to reduce costs and increase the profitability of wind turbines by combining several functions in one product," says Remus Teodorescu, Professor, AAU and the project's scientific manager. The goal is to develop the solution for a proof of concept and then evaluate the technical and financial options in order to expand into pilot installations in the future. 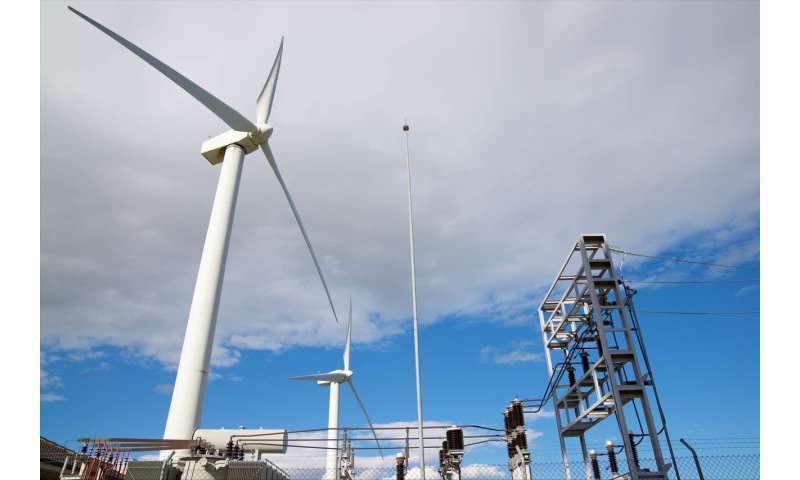 Integrating battery storage with wind power expands the technical possibilities so that wind turbines will be able to deliver renewable energy with the same or higher levels of security and resilience as fossil fuels. The proposed solution will help optimise wind turbine operation, and it can potentially lower the price of electricity while increasing production. Both are necessary if we want to increase the proportion of renewable energy in energy systems in the future. That is precisely why large companies are already involved in the project, including ABB and Ørsted, formerly DONG Energy. 'Ørsted has an ambitious strategy for maintaining its leading position in the offshore wind industry. At the same time, we are intent on lowering the price of electricity. Unique technical solutions and products will come out of this project, and we expect to use them in the design, construction and operation of our portfolio of wind power stations, infrastructure and grid connection systems within existing and future market conditions," says Troels Stybe Sørensen, Director, Ørsted. "For ABB, this is a really interesting project because it allows us to develop new technology for a growing renewable energy market combined with energy storage that can meet more stringent grid connectivity requirements and reduce the total cost of electricity from offshore wind energy," says Mikael Dahlgren, Director, ABB Corporate Research, Sweden. Flexible systems like this are a prerequisite for wind power to comprise an even greater proportion of electricity production while also being robust and stable. Energy storage with batteries will also minimise the risk of high-wind weather leading to negative power prices and limitations on electricity production, which was the situation in Denmark during Christmas 2016. They should also consider using integrated kinetic energy storage devices, ie raising/lower a large mass and/or massive flywheel. High density batteries could also be used as part of the mass. Think super capacitor storage would be more viable. That said nothing new about this idea, surprised that just dont have a package solution per turbine instead of reinventing the wheel by trying to build it in.